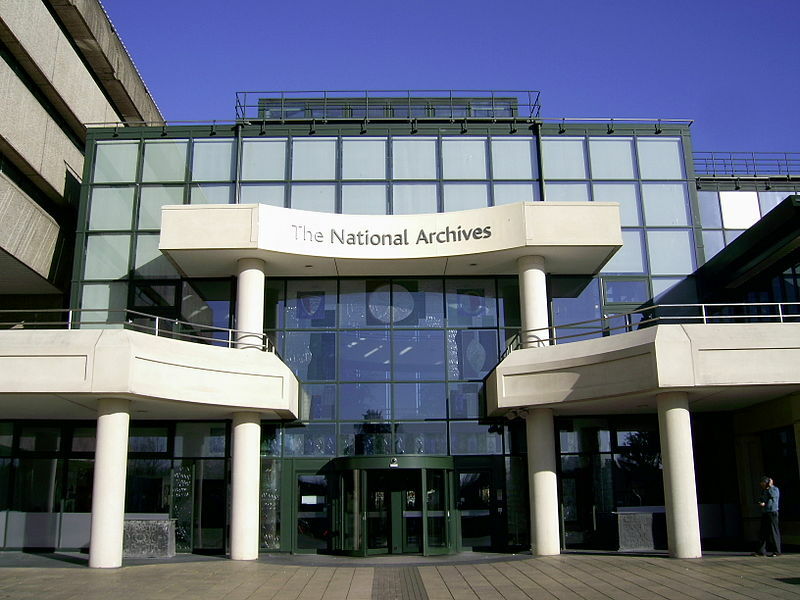 I’m at the end of my second full day in the United Kingdom’s National Archives, and I fell asleep three times at my research desk… still suffering a bit from the jet lag. But it is not (I swear!) from lack of interest in the files I am reading. It’s true that I get a little restless in there. That’s especially so because I’m between book projects at the moment, still needing to make edits on Arming Mother Nature but waiting for my editor’s comments. And I haven’t yet fully committed to the subject of the next one. So my eyes are easily drawn away in several directions at once, from nuclear proliferation, to agricultural genetics, and to animal experimentation in weapons laboratories. I’m in the UK for the “Cold War, Blue Planet” symposium at the University of Manchester, so I thought I’d spend a few days in Kew getting a little legwork done for the next project. But the only legwork I’ve really done is a jetlagged five-mile run along the Thames (which, on the footpath in Kew, is gorgeous at 530am, and remarkably quiet before the planes start landing at Heathrow). For many years I’ve been working on nuclear topics but I have almost always avoided nuclear weapons themselves. It may sound strange, but to any budding Ph.D. dissertator out there, it probably doesn’t sound odd. Like them, I have wanted to explore off the beaten path, in the belief that doing so offers the best chance to make genuine contributions to scholarship. Nukes came into my first book as a form of propulsion in submarines, or as a way to make the U.S. Navy’s fleet part of the deterrence force. Nukes came into my second book as a source of radioactive waste in the oceans. And in my most recent book, they come in mainly because of the post-nuclear war consequences or as triggers for massive environment-altering events. But now … I don’t think I can avoid nuclear weapons any longer. I thought I was going to write another off-path nuclear book on the agricultural applications of atomic energy. And I will, but the book may turn out to be about a much bigger problem. Namely the connection between promoting peaceful applications in the developing world, and the immense international problems that come from having competent nuclear trained scientists everywhere on the planet, whether they work on projects mainly for war, or mainly for peace. Today I was looking through documents on Iraq’s nuclear program circa 1980, before one of its neighbors (guess who?) bombed the primary facility at Osirak. Even then, Saddam Hussein claimed that the country’s programs were just peaceful. Iraq was building a research reactor, with France’s help, which was a natural and peaceful thing to do. But it required highly enriched (i.e. “weapons grade”) uranium. And from Italy it ordered technology for reprocessing, which meant that it could make plutonium. Obvious red flags? Yes, for some, but for others the amounts were too small to seem worthwhile. It would take years before Iraq could make enough plutonium with that technology, and in any event they were subjected to IAEA inspectors, having signed on as members of the Non-Proliferation Treaty. So, not a big deal (Israel felt differently). Behind closed doors, Western diplomats pointed out that even if Iraq had no actual weapons project, it made sense for Saddam to build a peaceful program so that it would have a ready-made labor force of scientists and engineers if it ever wanted a bomb program in the future. And Europeans had the technology, the know-how, and the willingness to sell…. Especially to Iraq, which could supply oil in return. In this case, the most generous view of Iraq’s program circa 1980—and by that I mean a program that fit precisely within the vision established with the creation of the IAEA in 1957—had the country following the rules, building a research community, and finding ways to apply nuclear technology into peaceful domains. But that knowledge, that manpower, that community… might come in handy one day. On the docket for tomorrow: Iran and the CENTO research laboratory. Pre-1979, Iran was quite the place to go for nuclear research, American-style. Some of this was in agriculture. But not all of it. you’ve got interested in the Middle East! If your project ever has a part on Iran, and if you need a remote research assistant, I’d volunteer for that! As a matter of fact I found a great deal of material on UK-Iran nuclear cooperation today, including several letters from British experts caught in Tehran during the revolution. Pretty fascinating.